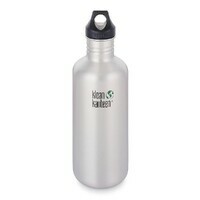 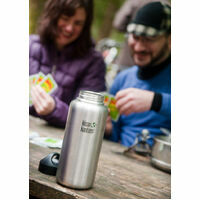 The 40oz Kanteen Wide is the ultimate bottle for long trips on the road or in the backcountry. 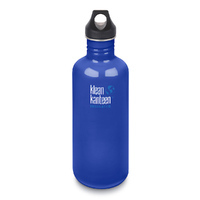 When your adventure spans days or weeks instead of hours, when you need enough water to go the distance, when you're out all day and don't have access to easy refills, this is your bottle. The extra wide opening is more than 2 inches in diameter for quick filling, pouring and cleaning, and the stainless steel thread design works with standard backcountry water filters. 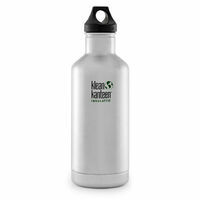 Even though it holds 8 ounces more than a quart-sized bottle, it's shorter and more compact than the Kanteen Classic so it's easy to fit one or two into a backpack or a cooler. 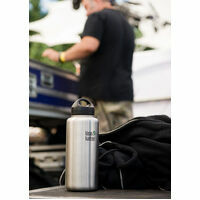 The 40oz Wide comes with either a Stainless Loop Cap or the swank and functional Flip D-Ring Cap. 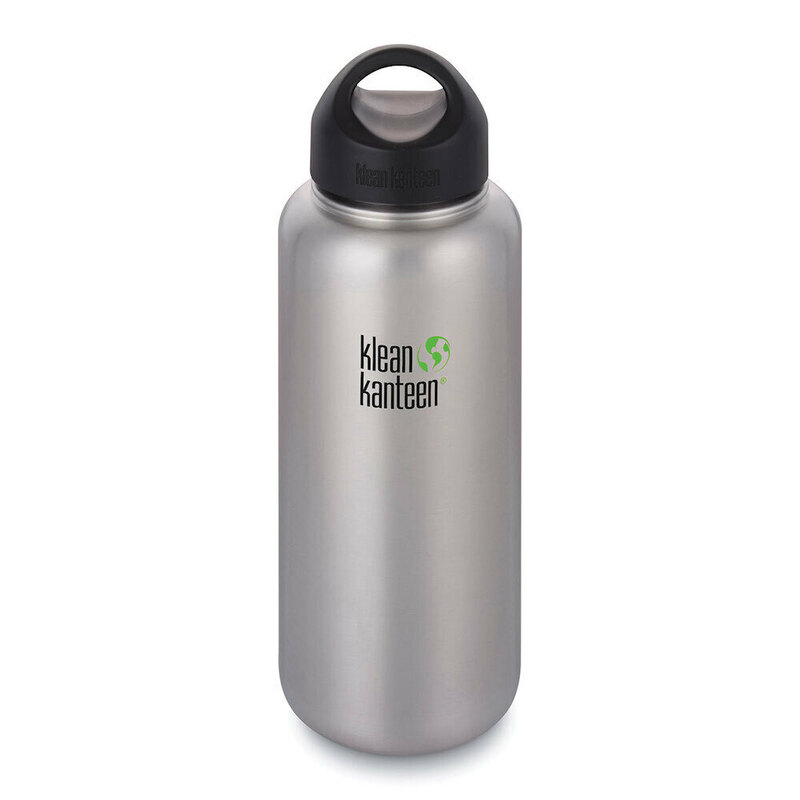 Both caps are 100% stainless steel on the inside, so your drinks never touch plastic. 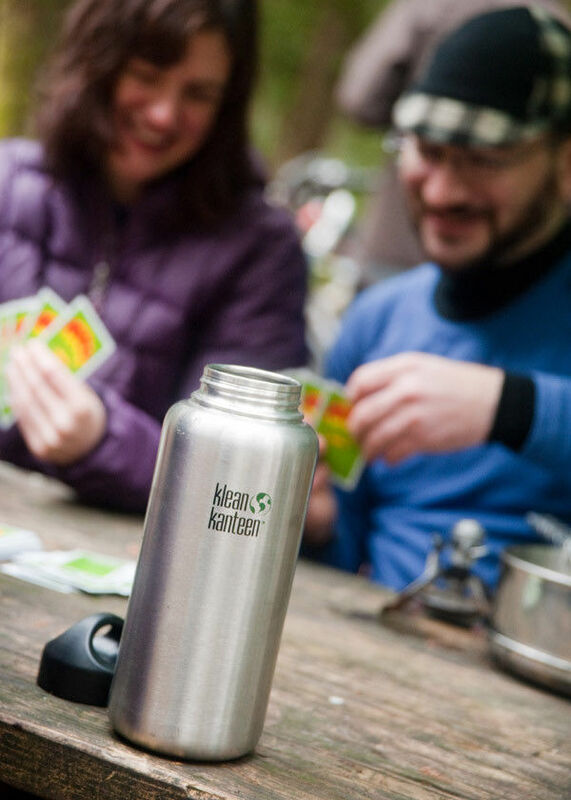 All Klean Kanteen products are made from high quality, 18/8, food-grade stainless steel that's totally free of BPA and other toxins. 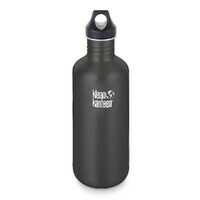 Because stainless steel itself is safe, we don't need to coat the inside with a plastic or epoxy lining, which is one of the main differences from aluminum bottles. 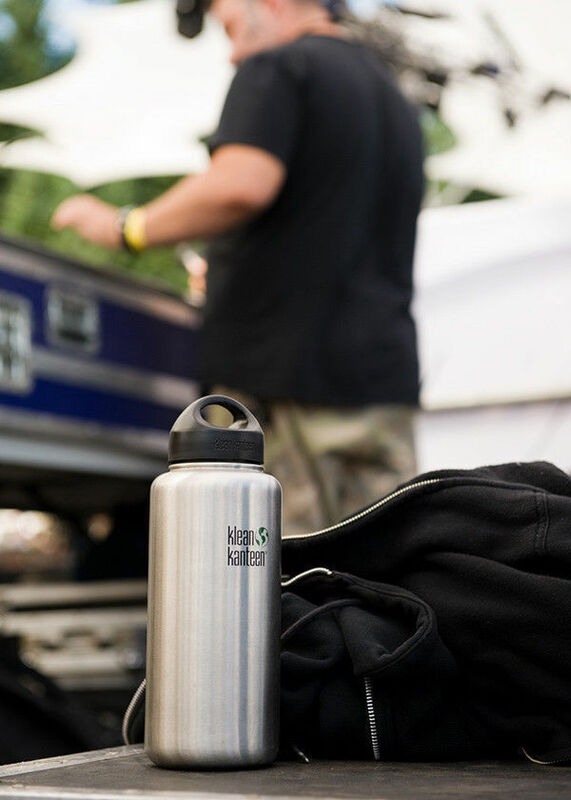 No matter how many times you refill it, no matter what you put into it, your Klean Kanteen will keep your drinks fresh, crisp and clean.